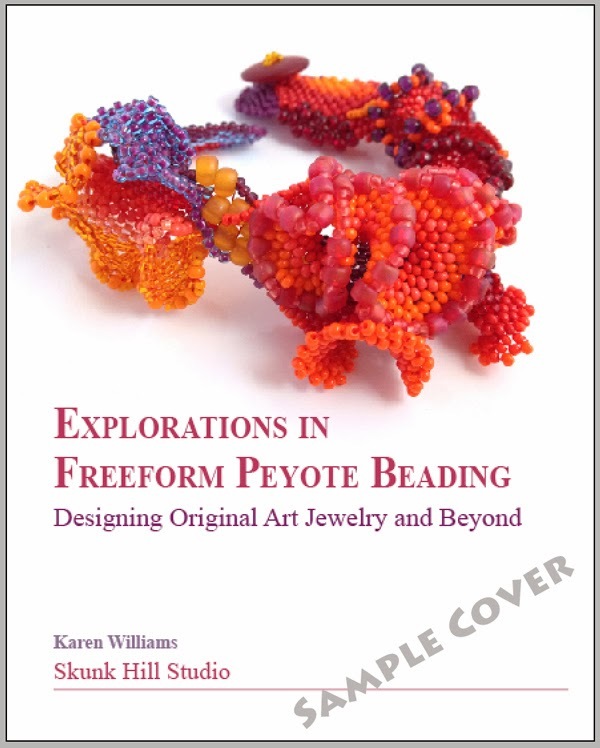 If you've been on the fence about supporting my Kickstarter for Explorations in Freeform Peyote Beading, now is a great time to jump in as a backer. We are coming down to the wire. The campaign ends Friday morning at 9:45AM PST, so we're running out of time. But why wait until Friday? Become a backer before midnight tomorrow, help me reach my Week Four Stretch Goals and reap the rewards along with all the other backers. 65 backers or 80% funding by midnight Wednesday, February 12th, I'll add an original beady sketch to the title page of every book ordered through this campaign. 75 backers or 90% funding by Wednesday, I'll create a special digital addition and will send it to every pledge level from $5 up once the Kickstarter succeeds. The addition will feature a photo essay of the construction process for a piece not included in my book, and will be exclusive to this campaign. 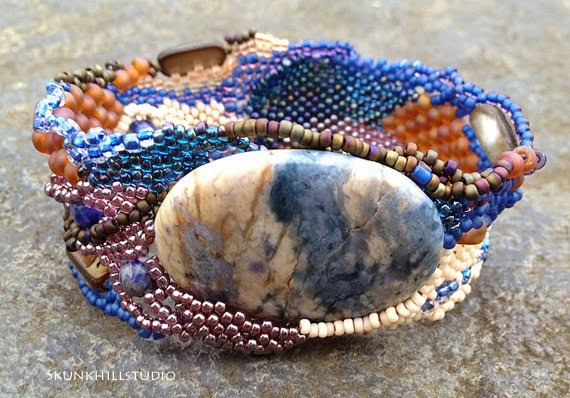 The project may not be a bracelet, but the tutorial will be similar to my Winter Blues Freeform Peyote Bracelet PDF tutorial currently available in my Etsy shop, but an entirely new design. And only if we meet this stretch goal. Stretch Goals are Cumulative! When we reach the second stretch goal (75 backers/90% by Wednesday), I will draw beady sketches in all print books ordered AND send the exclusive digital addition to all backers at $5 or above. The stretch rewards are the same as last week, because I like them and I'd be thrilled to be able to add them to everyone's pledges. But they will not be repeated again. So if you like the idea of an original sketch inside your book (or even on a separate piece of paper if you prefer) and an extra PDF tutorial, then become a backer now. 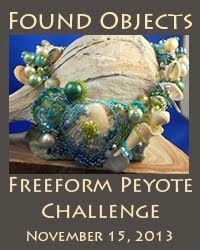 You'll be actively supporting the publication of the next book on Freeform Peyote. $1 - Community Spirit: Thanks for your support! I hope you’ll stay tuned to the campaign. Your name will be listed on a special page on my website as a supporter for this project. Don’t forget that you can always increase your pledge later. (And at $5 you're eligible for the second stretch reward listed above). $10 - Name in Lights: Your name will be listed in a special acknowledgement section of my book as well as on my website and blog. You’ll also receive a personal email from me thanking you for your support. $20 - Electric Dreams: You’ll receive a digital copy of the book (either PDF or Kindle if I reach my first stretch goal) at publication and a personal email from me thanking you for your support. $30 - Beta Tester: You’ll receive beta-versions of the book in PDF format delivered electronically on a 4-6 week cycle beginning as early as June 2014 and the finished ebook (either PDF or Kindle if I reach my first stretch goal) at publication. All supporters at this level or above will also receive a signed postcard from me thanking you for your support. 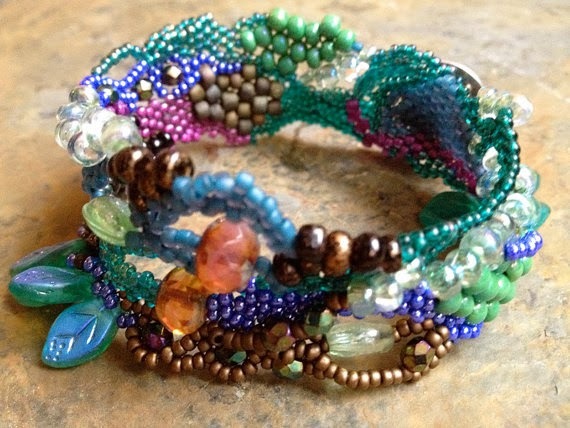 $35 - Digital Deluxe: Besides the Beta and Final digital versions of my book, you’ll also have your choice of TWO of my three freeform peyote bracelet PDF tutorials. Choose from Ocean Currents, Peacock Spring or Winter Blues. Includes the PDF tutorial only, not the beading kit. 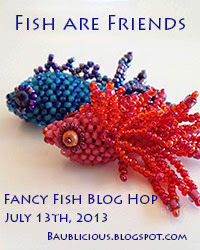 My bracelet tutorials typically retail for $12.00 each on Etsy. $40 - Old School/Paper & Ink: You’ll receive a signed print copy of the book (with optional personal inscription), plus any applicable stretch rewards. Does not include a digital version of the book. $60 - The Whole Shebang: You’ll receive a signed print copy of the completed book as well as digital and beta book versions. The print and digital copies will be delivered after publication, beta book editions to be delivered electronically on a 4-6 week cycle beginning as early as June 2014. $90 - Double Trouble: Two signed print copy of the completed book as well as digital and beta book versions. The print and digital copies will be delivered after publication, beta book editions to be delivered electronically on a 4-6 week cycle beginning as early as June 2014. You will also receive two copies of any stretch rewards. 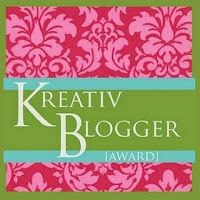 $150 - Kit and Kaboodle: The Whole Shebang plus your choice of one limited edition kit and tutorial based off of one of my freeform bracelets featured in the book. The kit will include the exact supplies I used in my piece and is ONLY available through Kickstarter. You will have two-three options to choose from. 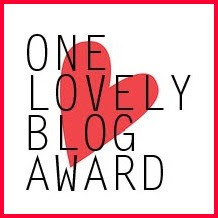 You will also have the opportunity to participate in a special blog hop/guest post in 2015. 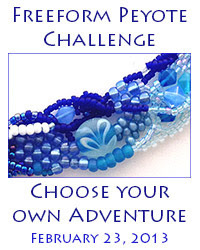 $500 - Virtually There: Four private, half-hour Skype sessions on the beading/design topic of your choice. I will contact you via email to set up the first session. 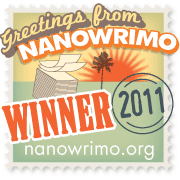 Also includes The Whole Shebang (signed book, ebook and beta). Must be redeemed by December 2015. I invite you to visit my Kickstarter page to learn more about this book and become an important part of the process.